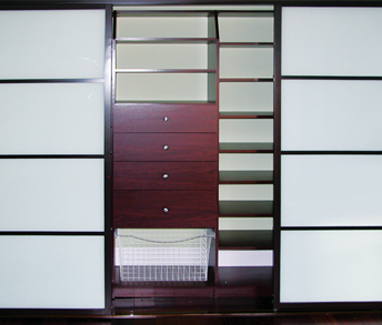 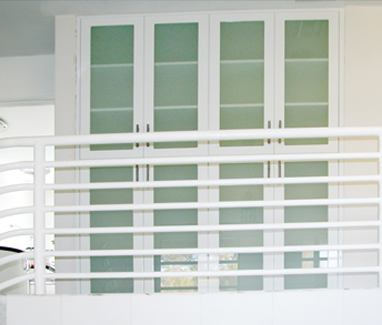 Sliding closet doors take on a new dimension with our design selections. 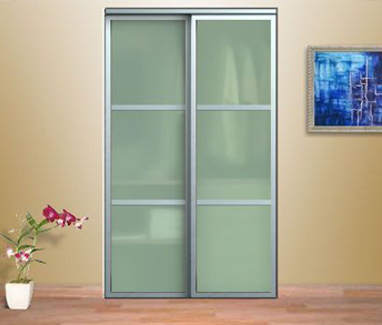 Our mirrored doors visually enlarge a room and offer full-length mirrors for everyday wardrobe checks. 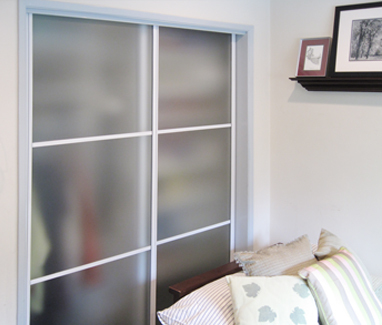 Or choose our beautiful frosted glass door and give a touch of translucency and light to a room, while adding a decorative touch. 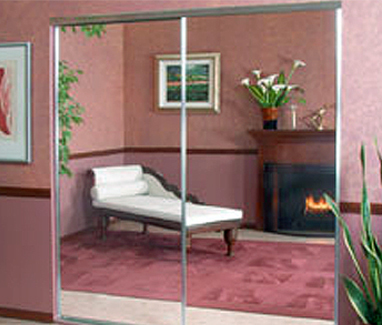 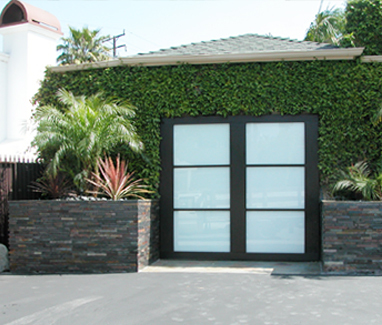 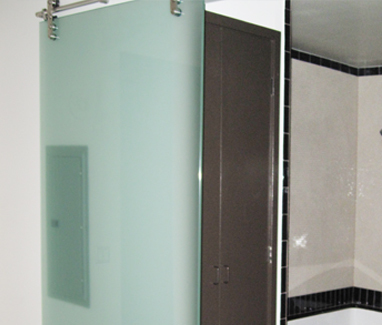 Frosted glass available in a variety of opacities. 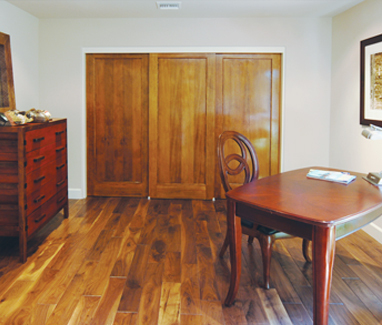 Add a customized touch with rich wood framing.